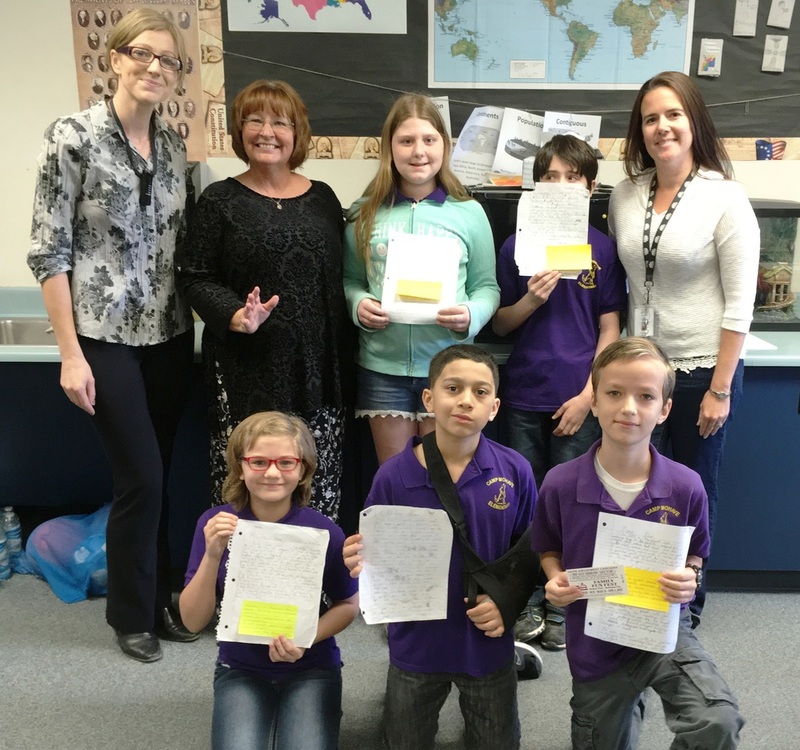 Debbie Laurent, a local author, presented a seminar on the writing process to Mrs. Adam’s and Mrs. Cook’s 5th grade classes on last month at Camp Mohave Elementary School. Mrs. Laurent noted the students creativity was exceptional, while at the same time the students said they had a great time writing. All students who turned in a story received a reward and 3 students from each class were selected as grand prize winners. The winners were: Pictured left to right in the back row: Mrs. Cook, Mrs. Laurent, Katlynn Williams, Niko DeHerrera, Mrs. Adams. The front row: Avalon Alexander, Oscar Nies, Kevin Guenther, Cadin Cottrell (not pictured). Congratulations to all the students for writing such great stories. Mrs. Laurent will be at the Kingman Festival of the Arts at Metcalf Park in Kingman on May 13th and 14th selling her books: Desires of the Heart, The Christmas Robe, and The Glass Table.